Listen! The latest Sandwitches’ tracks from their forthcoming full-length album “Our Toast”. 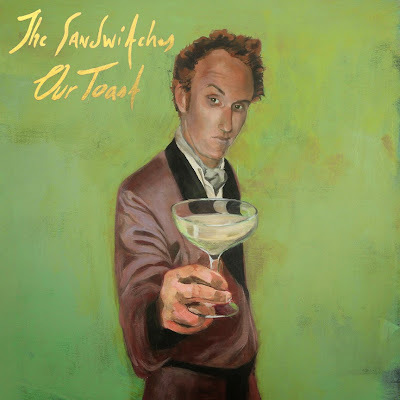 Recorded by Kelley Stoltz and mastered by Mikey Young, Our toast, by The Sandwitches, is available on LP/CD/Digital via Empty Cellar Records and Revolver USA. The LP edition is packaged in a deluxe gold-foil stamped jacket featuring artwork by Deirdre White and The Sandwitches. The first pressing will include a limited edition run of 200 LPs in decadent “oxblood” vinyl. Due Out on June 9th. All songs by The Sandwitches, with James Finch Jr on bass, Nicolas Russo on piano (Dead Prudence), and Rusty Miller on piano (Sleeping Pracitce). The Sandwitches are Heidi Alexander (Guitar, Vocals), Grace Cooper (Guitar,Vocals) and Roxanne Young (Drums,Vocals).